Click EventBrite Button above to book to attend the FREE CSF Masterclass on Thursday 1st March 2018 hosted by Bizmentors.ie in SCCUL Enterprise Centre, Ballybane Galway. Here is the 80 second promo video on the event. Donncha Hughes is also delivering the Masterclass in the Regional Development Centre, DKIT on Friday 2nd March. Book via EventBrite – free to attend. 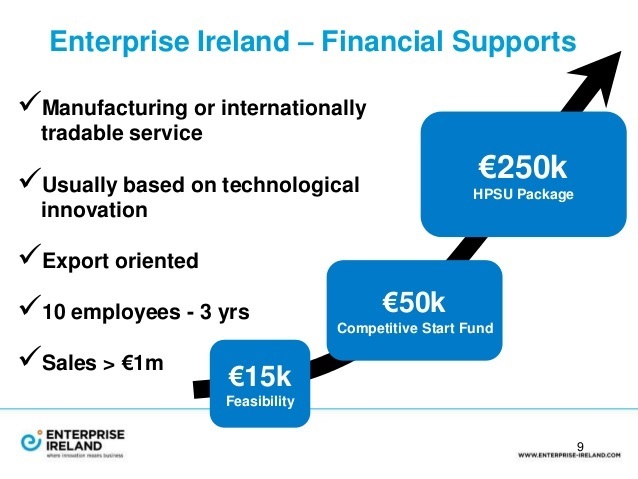 The Competitive Start Fund (CSF) is undoubtedly a significant component of Enterprise Ireland’s suite of financial supports for early stage startups as per this Slideshare. I recently wrote two blogpost articles for InspiredStartups.com with advice for startup promoters in terms of completing their application for Enterprise Ireland’s CSF. This short article outlines the key themes addressed by each post. Disclaimer: Ideas and advice in both articles are those of the author and don’t necessarily reflect those of Enterprise Ireland. This post was written for applicants who are actively looking for pointers on how to complete the CSF application – it provides 12 tips garnered from experience of reading over 200 applications. The post aimed to answer the question, ‘Does this application fully reflect the potential of my business?’ It also provided some background information on CSF to include useful links provided by Enterprise Ireland: Read more…. Both articles were well received on InspiredStartups.com and shared on Social Media. I hope they continue to be of benefit – I believe that I have a good insight in this area and am happy to share my thoughts. p.s Thanks to Rado of InspiredStartups.com for publishing my articles – and congrats on creating a valuable resource for Startups!